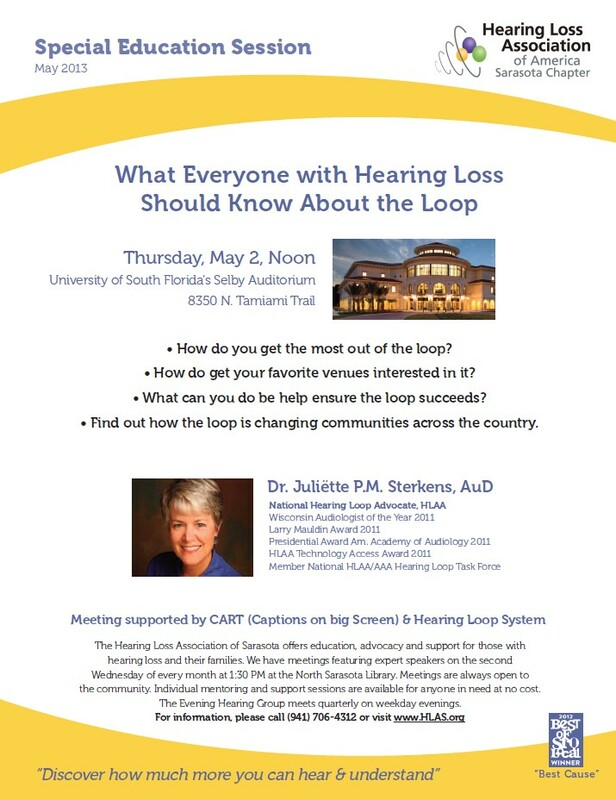 The Hearing Loss Association of Sarasota invites you to a Special Education Session – What Everyone with Hearing Loss Should Know About the Loop. It will take place Thursday, May 2, at Noon at the Univeristy of South Florida’s Selby Auditorium, 8350 Tamiami Trail. Click 5-2-HLAS for a printable flyer. ← March Issue of Listen Up!